A herbal infusion made with spices and herbs for effective relief from bloating, gas, indigestion and stomach aches, and menstrual cramps. 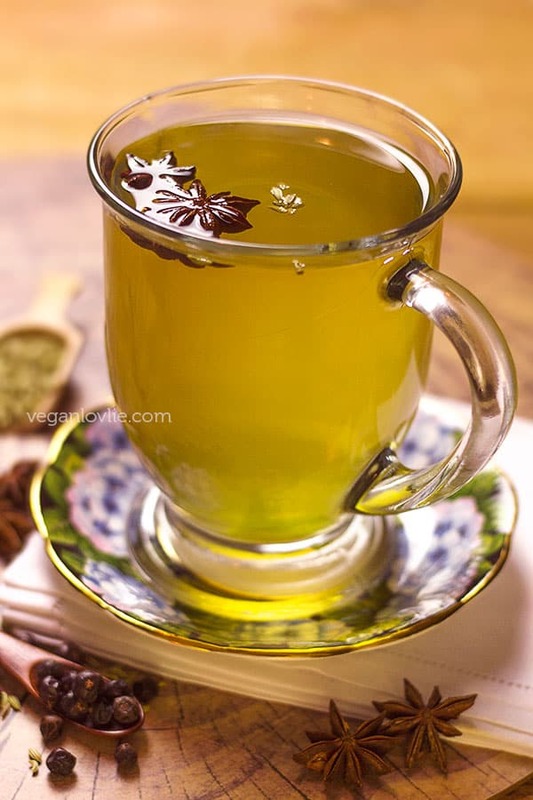 Home remedies – juniper berry, star anise and fennel tea with fresh mint. 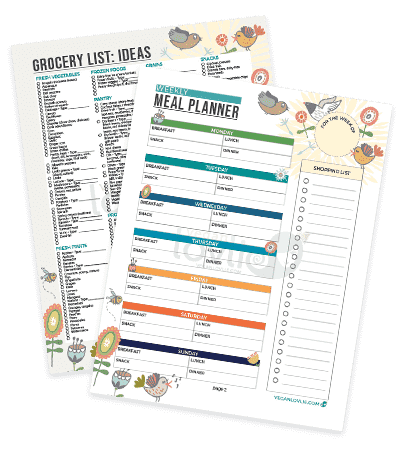 When it comes to finding remedies for the common ailments, I very often have recourse to natural ones or what I like to call my kitchen table remedies. Passed down through the family, many herbal remedies weave into our routine to treat minor illnesses — an upset tummy, seasonal allergies, the common cold — to name a few. 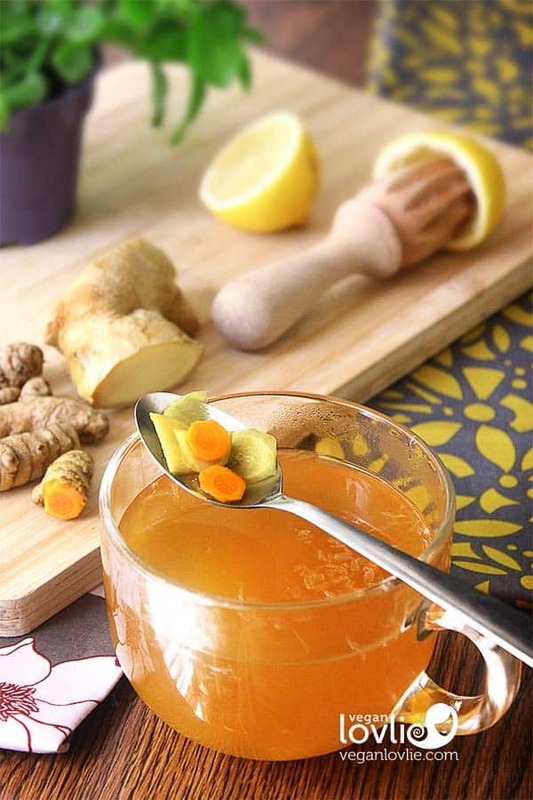 Today I am sharing a brew, made with spices and herbs, that has stood the test of time and proven to be very effective to provide relief from bloating and gas, tummy cramps, indigestion and stomach aches among other ailments. When brewed as a tea juniper berry helps with digestion problems including upset stomach, intestinal gas or flatulence, heartburn and bloating. Only a small amount of juniper berry should be used (2 – 10 grams). 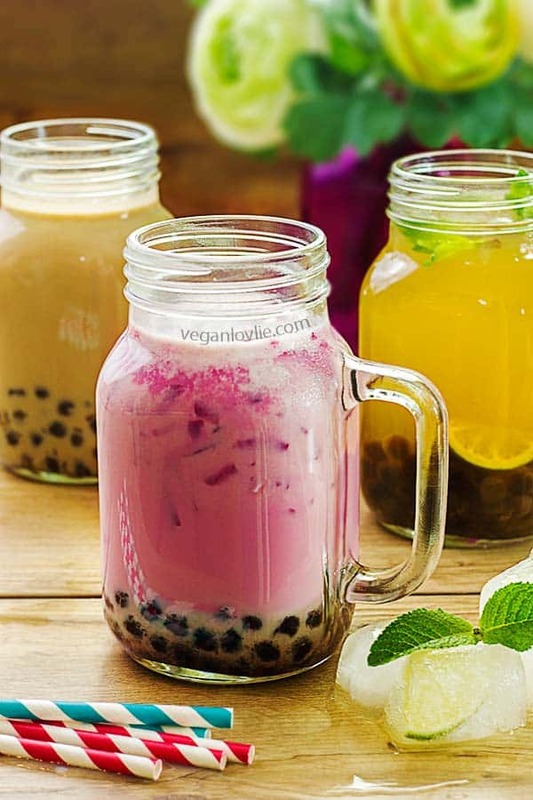 In this recipe, I am only using four berries which is not even one gram as there are other active components in the other ingredients of this tea. Fennel seed is a very aromatic spice used to flavour many foods. It is also excellent to treat flatulence, bloating or stomach cramps. One of greatest health benefits of fennel tea is that it helps stimulate the production of estrogen. This provides relief from symptoms of PMS, menstrual cramps or menopausal symptoms. Lightly crushing these two spices will make it easier to extract the active components. You can steep these spices in 2 cups of hot water but I like to bring them to a gentle simmer first and then let everything steep for about 10 minutes. Very much like fennel, star anise tea can help to eliminate excessive gas, reduce intestinal spasms, ease heavy digestion and relieve stomach aches. Its mild estrogenic effect also helps through the symptoms of premenstrual syndrome and regulates the menstrual cycle. When buying star anise, make sure to get the Chinese one as the Japanese variety is toxic. For its shape alone, I think star anise is one of the most beautiful spices in the world. Finally mint is well known to soothe the stomach in case of indigestion or inflammation. Aside these benefits, mint can assist in weight loss. It stimulates the digestive enzymes to better absorb nutrients from food and turns fat into usable energy. So by adding mint to your diet, fat is being consumed and used rather than being stored and thus causing weight gain. 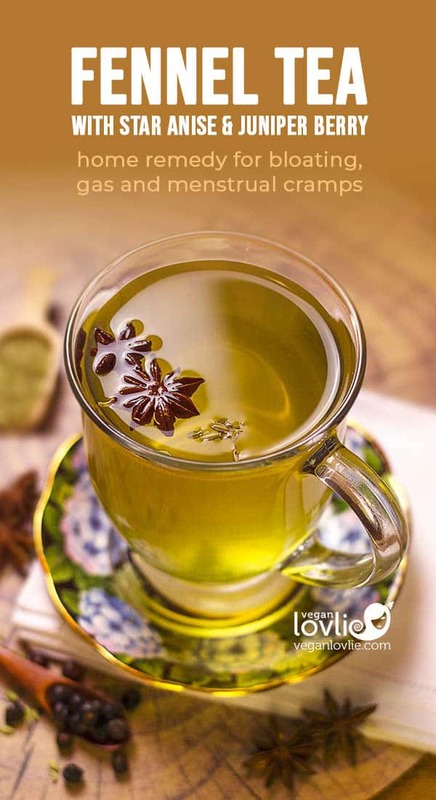 I have personally found this tea to provide much relief from bloating and menstrual cramps. This is my monthly go-to home remedy. These spices are commonly found at most grocery stores, Asian/Indian stores or health stores. Otherwise you can also buy them online (see ingredients below for links). Watch the video and please give it a thumbs up (if you’ve liked it) and don’t forget to subscribe to our YouTube channel if you haven’t already. Lightly crush the juniper berries and fennel seeds in a mortar with a pestle. Then, add these spices along with the star anise and mint leaves to a sauce pan of hot water. Heat on a low-medium temperature. Once the tea starts to gently bubble, let it simmer for no longer than one minute. Then turn off the heat and let the tea brew for 10 minutes. Strain all the liquid and discard the spices. Consume hot or warm. You can keep the rest and consume later at room temperature. Do not reheat the tea as it will lose much of its properties and may also tend to turn acidic. It is best to consume this tea without any sweetener. Otherwise, you may sweeten it to your taste with some maple syrup or other sweetener of choice. This tea can be consumed 2-3 times a day for no longer than 4 weeks. 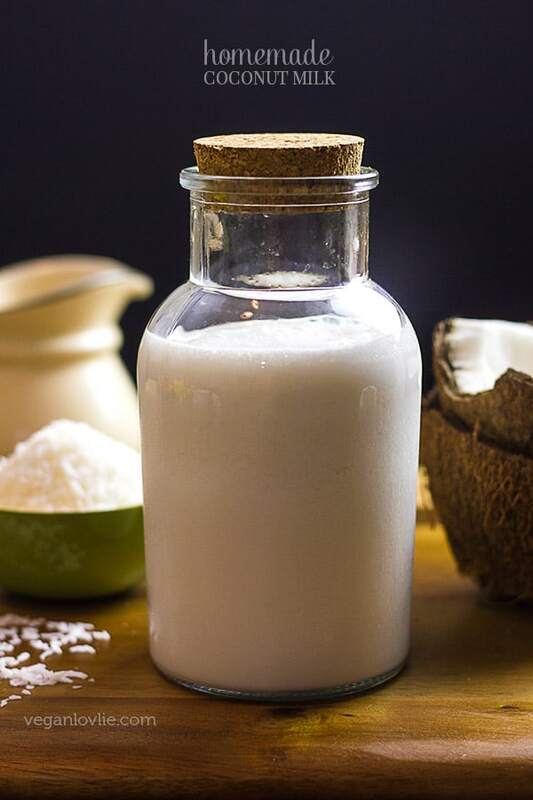 An effective home remedy for bloating, gas and menstrual cramps. Love this recipe? Pin it. Medical Disclaimer: The information provided in this video is sourced from personal experience, family recipes that have been passed down and the internet. Not every remedy will work on everyone. So is conventional medical treatment. It very much depends on the constituents of the person and the conditions peculiar to that person. Whatever the reasons, the video and article do not claim the information provided is totally accurate and reliable and will cure everyone. The purpose of this video/article is merely to inform visitors that there are alternative cures for all ailments. You are therefore advised to consult your registered medical physicians as a matter of due diligence. If you are pregnant or suffering from a particular condition, consult your medical practitioner before consuming this tea.